In the past month I’ve received one rejection of a poem from a magazine editor, one acceptance of a poem by another magazine editor (hurrah!) and two online recognitions of my poetry; one from Baby Wisdom, and one from the blogger Slummy single mummy (as part of her brilliant review of Musings on Mothering). ‘But that was my best poem by far!’ I exclaim. Then I think ‘Oh well.’ Grump. But I accept the rejections because they strengthen my resolve to hone my writing; to make it as good as it can be. They also help me to reaffirm why I write. I have to write. I love writing and I cannot help but write. 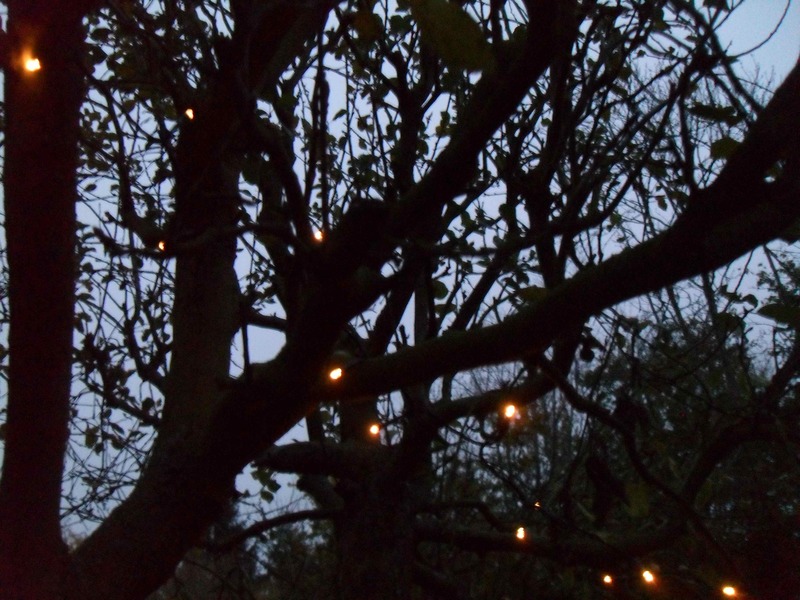 When I won the Swanezine Short Story Competition last year, as well as spending some of the prize money on prosaic things like food, I bought some solar-powered outdoor fairy lights. I thought I could put them in our old apple tree, by my daughter’s little patch of soil and we could make a magical fairy grotto out of it. It’s not quite like that at the moment… but still, when the fairy lights come on in the evening and I catch sight of them, I remember the competition and think ‘ah!’. Big smile. It inspires me to keep on writing; and at the end of the day if — and no doubt when — I receive more rejections I know it doesn’t really matter. Yes, it would be great if I could earn a little money from my poetry to help towards food and bills, but I write because I love to write, and I will have faith that although my style of writing isn’t right for some magazines I will keep on going and write in my own ‘Marija’ style. A person’s own style is unique. I cannot be (and therefore, write) what I am not.